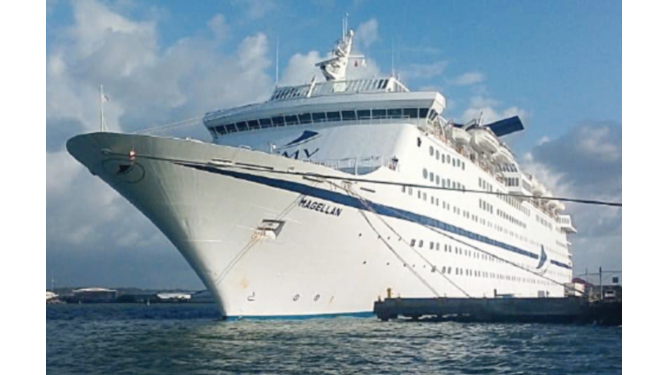 THE CRUISE ship Maguellan carrying 1,834 pilgrims left the Calderas port, Costa Rica, on Monday, heading for Taboga Island as part of their journey to participate in World Youth Day (WYD). They are scheduled to arrive at Isla Saboga on Thursday, January 24 and on Friday the vessel will dock at Isla Taboga. Aboard are 1,494 Costa Ricans, 300 Puerto Ricans and 60 Chileans. After WYD they will stay a few days in Panama to visit the tourist spots in and around the capital city. Then do they get small boats to ferry them to the events? I am seeing pictures of and hearing audios of the very noisy, party all night Pilgrims. It is more like they are here for a 4 day party and the WYD is an excuse to join the phone. Friends in the city have posted party noise at 2:30 -3 AM, and pictures of crowds of kids making noise on the streets at all hours.